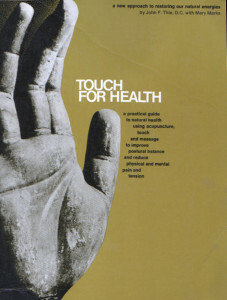 This website is an archive for papers from the Touch for Health Conference journals, and other materials related to Energy Kinesiology. Currently, more than 750 individual articles and papers have been indexed from the 40+ years of Touch for Health conferences and other publications. Comments, ratings and donations for any papers which you read are greatly appreciated and help to further the utility of this project.